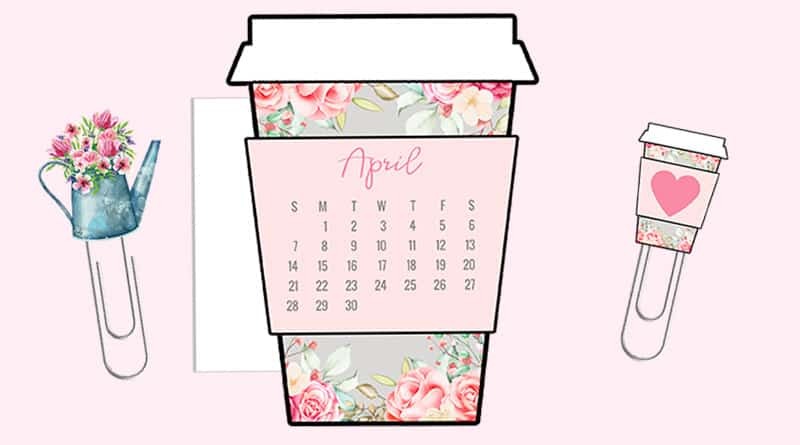 This is the first day of spring so I thought it was a good time to share April’s new calendar divider + paperclip printable duo to add to your planner or bullet journal next month (or any other month if you decide to print the blank undated die cut version). 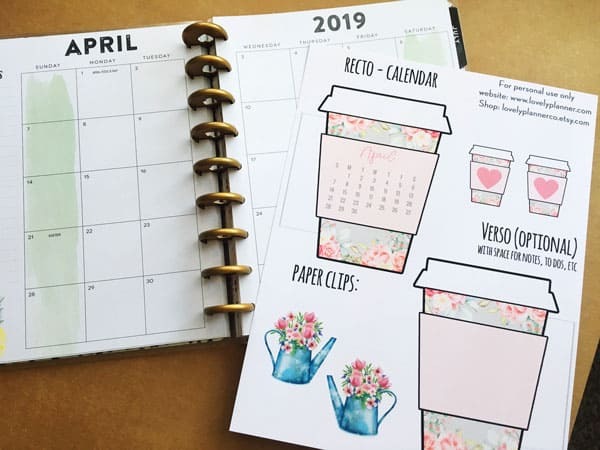 If you’re looking for more ways to add “spring” touches to your planner, check out this free lettering worksheet filled with spring sayings. It’s the perfect way to improve your hand lettering and decorate your planner, bujo, cards, etc. I love everything floral so spring theme is definitely up my alley and i went all out with this delicate flower pattern. 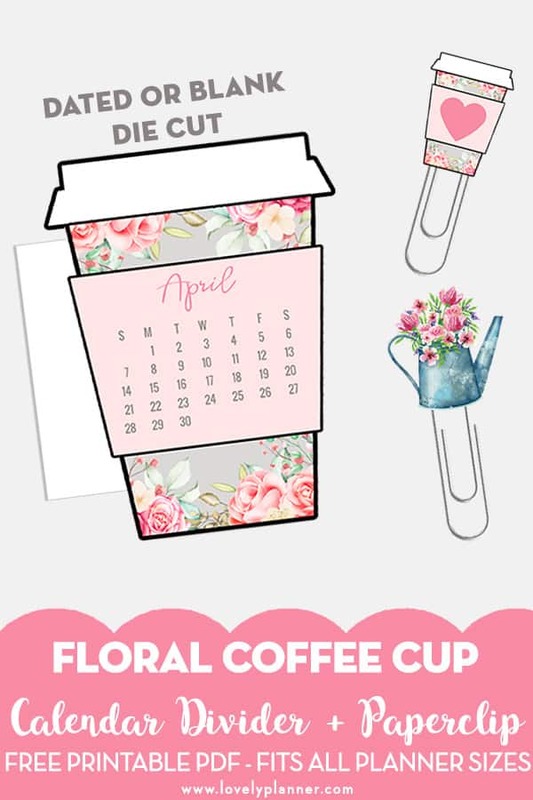 I also added 2 matching paperclips (a watering can and a mini version of the floral coffee cup). 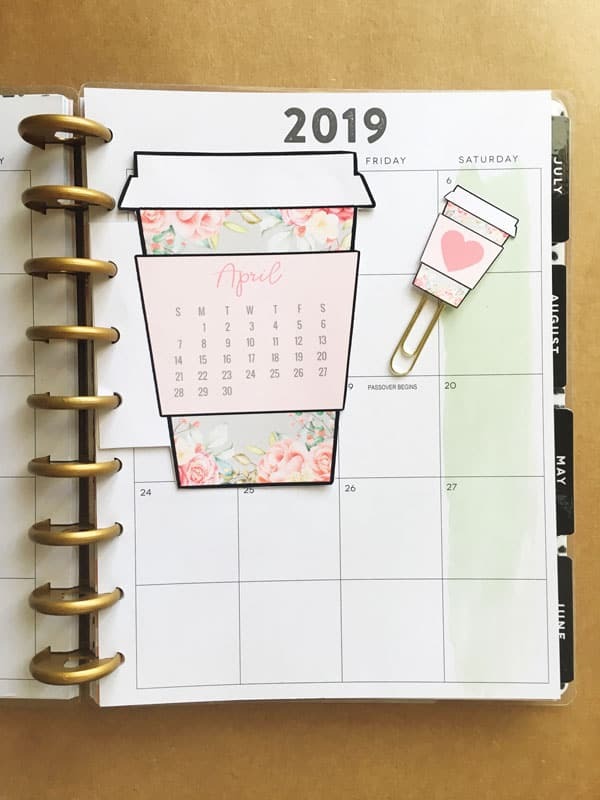 As per the new routine, I’ve created this calendar divider/die cut + paperclip in two versions: a blank undated one that you can use anytime you’d like (to keep notes, decorate, add any month’s calendar, etc) and a dated version (march 2019) that will help you keep a whole view of the month. If you like this freebie, pin this image for later! This divider is cute, well all your creations are super cute! I always use your blank divider in my planner and I write on it the to-dos of the month!